A couple of weeks ago, I reported the software guys at Magic Lantern experimented with the RAW DNG output in Live View on the Canon EOS-5D Mk III camera. At the time, they think there is a possibility 5D users may be able to record crystal clear 2K RAW video that easily surpass H.264 output. The hope is eventually Magic Lantern may increase the rate to 24 fps, and capture the data on memory cards in the camera. Now according to user Lourenco in the Magic Lantern forums, he has tested the new capability and was able to pull continuous 1920×850 RAW video at 24p. The dynamic range and resolution difference between RAW video and H.264 video is immense. By cropping the video to 1920×817, Lourenco achieved a 2.35:1 wide screen aspect ratio, resulting in 1080p RAW videos with black bars on top and bottom. He posted a short video clip on YouTube for demonstration. However, it is important to note RAW video recording requires a copious amount of storage space and an extra fast CF card. One second of footage requires about 72MB of storage. 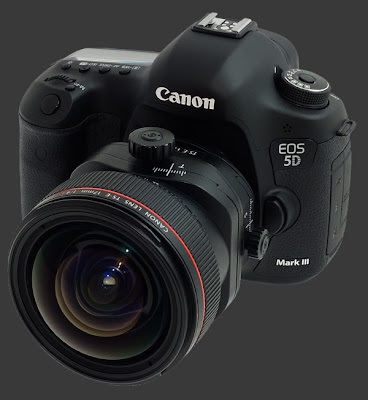 Since this experiment is NOT approved or designed by Canon, one must be aware of the sensor in the camera may experience possible overheating. Those who are tech savvy and love to tinker will continue to work on this until they have achieved most of what they set out to do. It will come some time soon and for those adventurous videographers, they may be able to get full 1080p HD video out of their EOS-5D Mk III camera then.